Here's a BBS especially for Dr. Who fans. Cable buffs know him as the central character in the the British sci-fi series seen locally on Ch. 12. The Dr. Who BBS is loaded with trivia questions and answers and may be reached at 618-451-1041 in Illinois. APA 6th ed. : Petzold, Charles (1984-05-15). Break Time. Philadelphia Daily News p. 41. MLA 7th ed. : Petzold, Charles. "Break Time." 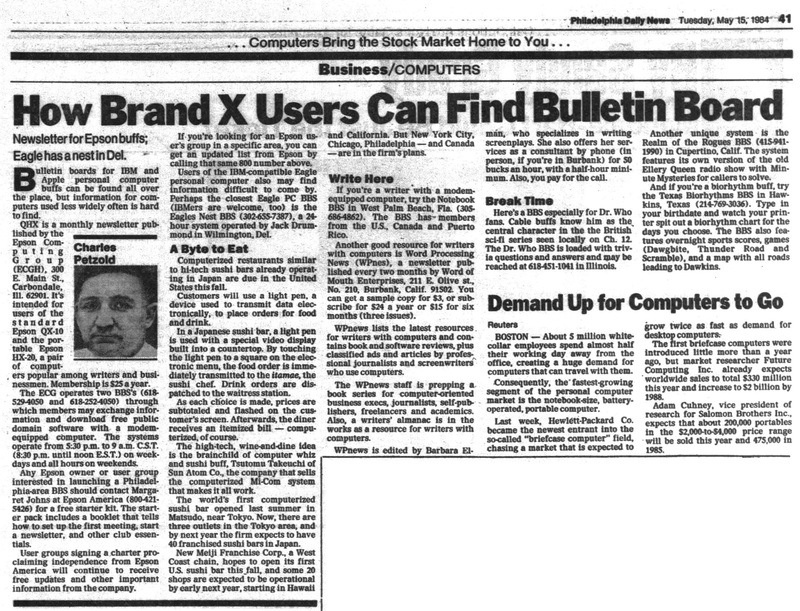 Philadelphia Daily News [add city] 1984-05-15, 41. Print. Turabian: Petzold, Charles. "Break Time." 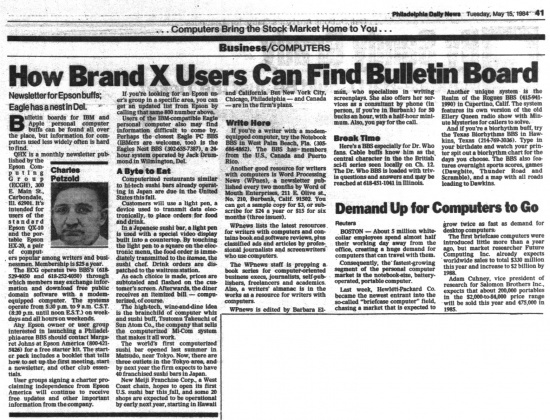 Philadelphia Daily News, 1984-05-15, section, 41 edition. This page was last modified on 11 February 2019, at 03:32.